all wines improve with age. Perhaps one of the biggest lies of all is that Australian Chardonnay is over-ripe, over-oaked and over here. It’s true that Australia was almost single-handedly responsible for the Chardonnay revolution in the 1990s, when we discovered those marvellous vanilla- and butterscotch-scented ‘Chardies’ filled with the tropical flavour of pineapple. This was a whole new experience for wine drinkers brought up on much more acidic white wines, with far less fruit and flavour. But of course those crazy Chardonnay days crashed off the rails just as quickly, with the formation of the ‘ABC Club’ (Anything But Chardonnay) and our post-millennium drinking switching wholesale to Sauvignon Blanc, Pinot Grigio, even such former obscurities as Picpoul de Pinet and Albariño. What all of these wines have in common is no oak, fresh flavours, and good levels of acidity. In fact, the opposite of those 1990s Australian Chardonnays steeped in oak (quite literally as often bags of oak chips were the cheap alternative to barrel ageing), extremely ripe fruit and low levels of acidity. Australian Chardonnay was dead in the water. Or was it? If there is one thing the Australian wine industry is extraordinarily good at, it is listening to the market and working as one to address any issues. 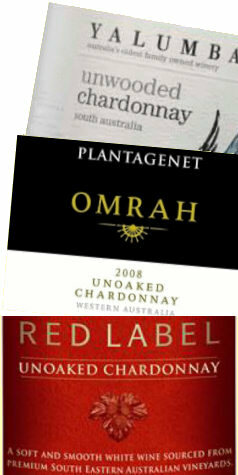 Australian wine, particularly Chardonnay, has changed out of all recognition over the past decade. The changes have been philosophical for sure, and have led to adjustments in both viticulture and winemaking, all aimed at transforming Aussie Chardonnay from the over-stuffed pantomime horse it had become, to a sleek thoroughbred. Those judging major wine competitions in Australia since the early 00s have been warned sternly by Chairpersons to reward finesse and punish blowsiness. In the vineyard, a simple trick was to harvest just a little earlier: picking grapes when sugar levels are a touch lower and acid levels a smidgeon higher. Changes to ‘canopy management’ – how the umbrella of foliage shades or exposes the growing bunches of grapes – was another ploy. But even more fundamentally, those sites were Chardonnay was planted were reconsidered: yes, large swathes of the grape still grow on undistinguished sites for commodity wine production, but many growers started to seek out elevated sites or those with a southerly exposure, where sunlight intensity and temperature was lessened. In the winery, avoiding 100% use of new oak to ferment and age wines became the standard, as did reducing the ‘toast’ of barrels (the amount of charring done by the cooper, which can add those coffeeish tones). Also, a stage in winemaking called ‘malolactic fermentation’ converts the green apple bite of malic acid into the softer, milky acidity of lactic acid. This process softens the character of the wine and although it occurs naturally, can be blocked by the winemaker. More and more Australian winemakers are choosing to block, or partially block ‘Malo’, to retain some acid bite. Raciness and elegance are the new watch-words for Australia’s quality Chardonnay producers, and they are proving just as adept with this style as they were with those 90s blockbusters. So what are the hot spots and key names for this New Australian Chardonnay? Well the change has been fundamental so most areas can stake a claim. 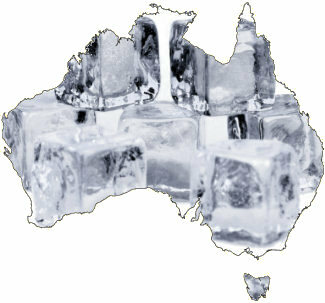 But regions to look for include the Adelaide Hills, 30 minutes from the city but with altitude giving cooler, damper conditions, The Yarra Valley, Mornington Peninsula, Western Australia and the island of Tasmania, each a relatively chilly outpost where altitude or southerly latitude does the cool-climate trick. Shaw+Smith, First Drop, Petaluma, Penfolds (check Penfold’s Reserve Chardonnays like Bin 10A and Yattarna – though the latter is a cross-regional blend). Kooyong and Ten Minutes by Tractor from the Mornington Peninsula, De Bortoli, Coldstream Hills and Giant Steps from the Yarra Valley and cool-climate exemplars like Giaconda and Bindi from the less well-known Beechworth and Macedon Ranges sub-regions. Pioneers like Cullen and Leeuwin from Margaret River are still going very strong, but watch out for wines from even cooler sub-regions further south like Great Southern (Plantagenet, Marchand & Burch) and Pemberton (Picardy, Houghton). A lot of the excellent Chardonnay finds its way into some of Australia’s best sparkling wines, but look out for Ninth Island, Domaine A and Tamar Ridge. This list of the great and good is by no means exhaustive, and even at everyday levels Australian Chardonnay has trimmed off the fat to wonderful effect.